This is a part of a series of my blogs on how Systems Thinking tools and methods can be used in a transdisciplinary way within an area of practice. SSM is of interest in the context of DevOps and IT Service Management as it is a systemic method of enquiry that can be used in a learning cycle to get an ever deeper understanding of a perceived problem situation. 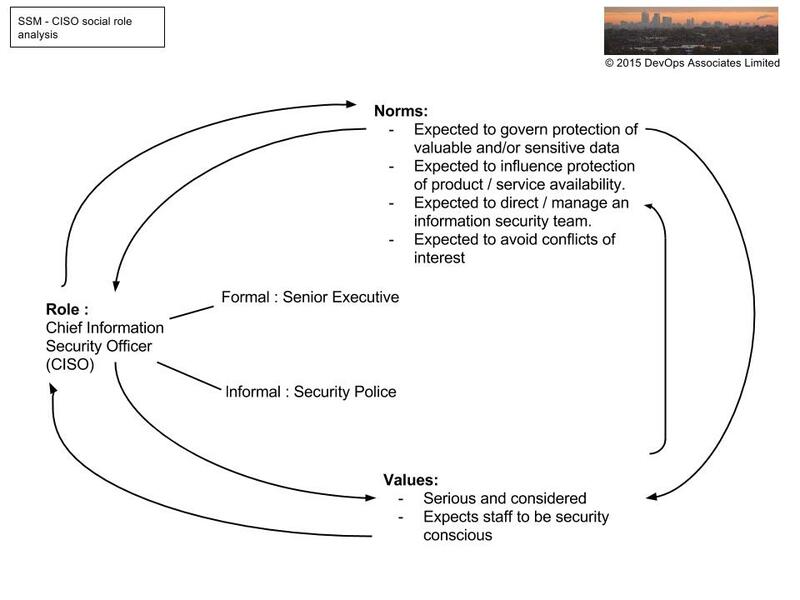 An analysis of the norms and values of the CISO in order to understand how these may be contributing to the complexity of the problem situation. Further social role diagrams may be created for the product and engineering directors as well as development and operations staff members. The interplay between all these social roles becomes useful for learning about the complexity of the problem situation and may help with conversations around accommodations. 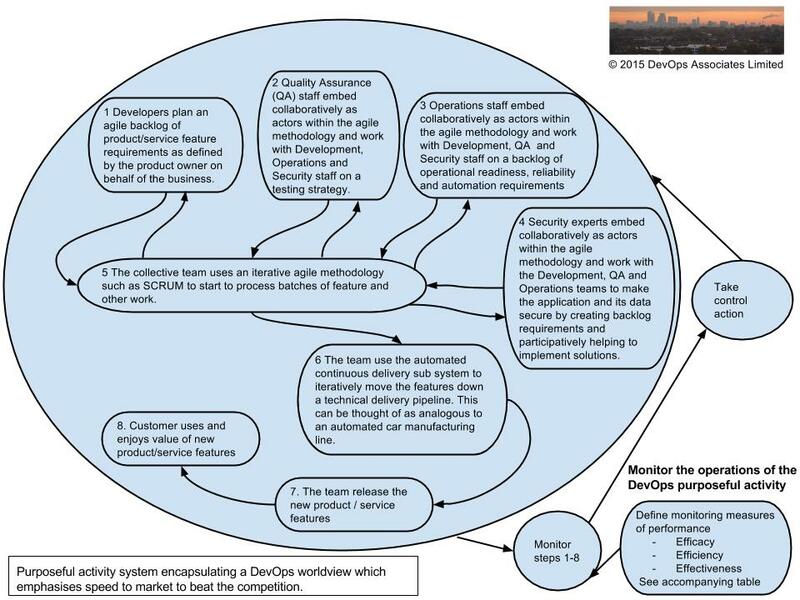 The product/engineering directors system, enacted by them for the benefit of the company, to get developmental products and service feature inventory from engineering into the hands of the online customer/user [what] by means of having available sufficiently skilled development, QA, operations and security staff who use an agile methodology and the automated continuous delivery subsystem [how] to get a reliable, tested, secure and operationally ready product or service into the hands of the customer/user as quickly as possible [why] in order to beat the competition in the belief that going as fast as possible and beating the competition will make the company successful [worldview]. Efficacy Has the developmental product or service inventory been transformed into a useful, tested, secure and operationally ready online product or service that the customer can now use to achieve their desired outcomes? 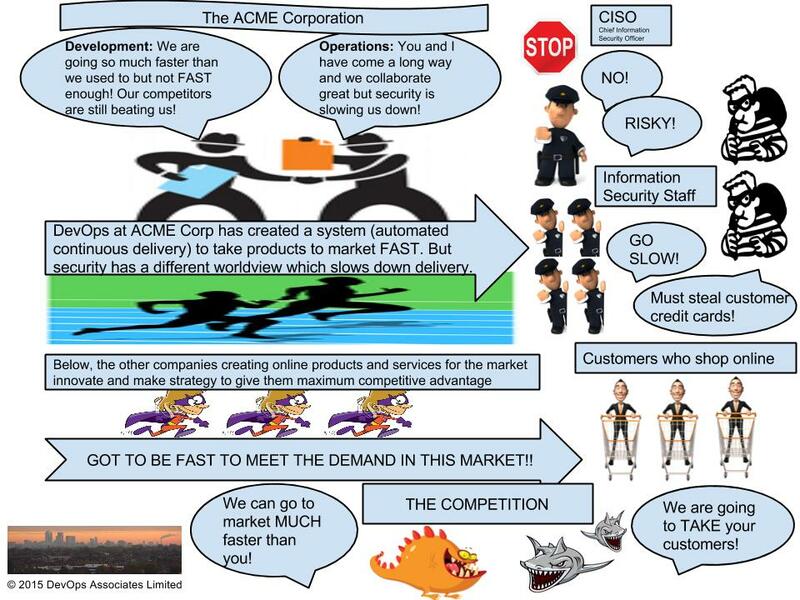 Effectiveness Is the company getting a competitive advantage in its market? The worldview he subscribes to is that the products should not be released to the customer until application and data are secure or the risks have been mitigated and/or monitored in order to protect the company from potential reputational damage and litigation. Description of strategic change Desireable? Feasible?